From Wikipedia, the free encyclopedia. 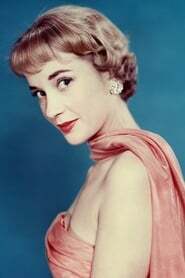 Sylvia M. L. Syms OBE (born 6 January 1934) is an English actress. She is probably best known for her roles in the films Woman in a Dressing Gown (1957), Ice-Cold in Alex (1958), No Trees in the Street (1959) and The Tamarind Seed (1974). She remains active in films, television and theatre. Description above from the Wikipedia article Sylvia Syms, licensed under CC-BY-SA, full list of contributors on Wikipedia.